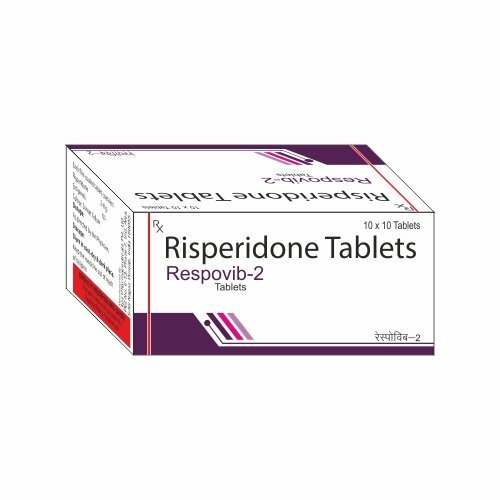 Risperidone, a benzisoxazole derivative, is an atypical antipsychotic drug with high affinity for 5-hydrotryptamine (5-HT) and dopamine D2 receptors. It is used primarily in the management of schizophrenia, inappropriate behavior in severe dementia and manic episodes associated with bipolar I disorder. 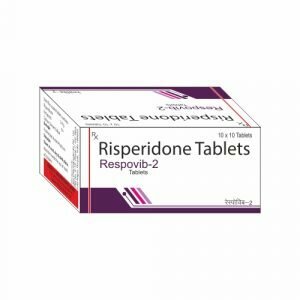 Risperidone is effective for treating the positive and negative symptoms of schizophrenia owing to its affinity for its “loose” binding affinity for dopamine D2 receptors and additional 5-HT antagonism compared to first generation antipsychotics, which are strong, non-specific dopamine D2 receptor antagonists. Symptoms of overdose include drowsiness, sedation, tachycardia, hypotension, and extrapyramidal symptoms. LD50=82.1mg/kg (orally in mice). For the treatment of schizophrenia in adults and in adolescents, ages 13 to 17, and for the short-term treatment of manic or mixed episodes of bipolar I disorder in children and adolescents ages 10 to 17. May also be used to manage symptoms of inappropriate behavior due to aggression and/or psychosis in patients with severe dementia.